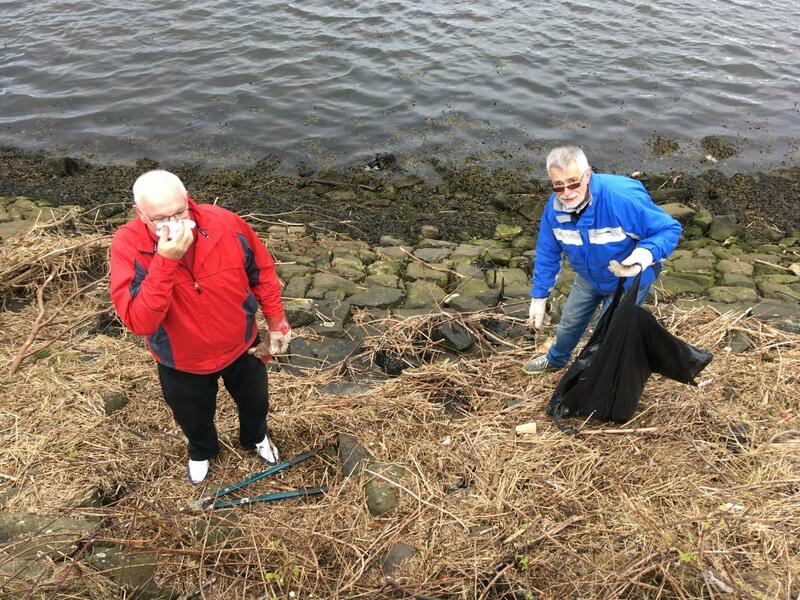 On Saturday, eight members of Seagate Rotary spent 2 hours clearing the plastic and other rubbish and litter from the section of the harbour between Puffers and the Water Sports Club slipway. There is still a large amount of branches and larger pieces of timber needing to be cleared from the area. Monday’s speaker at Seagate was Michael Rafferty, talking about the work of the Chernobyl children’s Lifeline (Ayrshire). Each year the charity brings a group of children from the Chernobyl area of Ukraine to Scotland for 4 weeks. There are major long term health benefits for the children in spending time away from the continuing radiation contamination of their home area. This year 9 children are coming in June and July. Michael answered questions, and a Vote of Thanks was proposed by Eric Greig. President Andy Slater then handed over a cheque from Seagate Rotary to sponsor a child’s visit. The funds were raised at Seagate’s Sportsmen’s Dinner.